"Elkhorn ferns" or "staghorn ferns" naturally grow on tree trunks as epiphytes. This species is native to Oceania and tolerates almost-freezing temperatures, so it can be grown outdoors in sheltered areas of the Mediterranean. 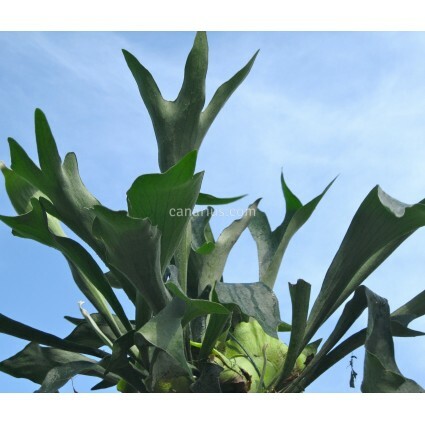 We offer a large multi-headed plant grown in a hanging basket. If you divide it, you can make 2 or 3 large plants and a few more small ones!